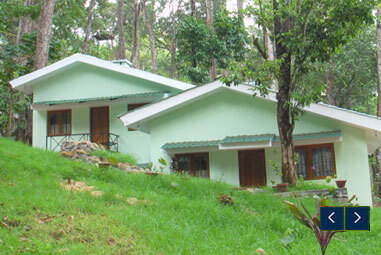 Packages - Woodpecker Holidays, Pothamedu, Munnar - Operated By Group Farming Corporation India Ltd.
NORMAL RATE = RS.8500 !! SPECIAL DISCOUNTED RATE = RS.6800 !! 50% DISCOUNT ON ALL AYURVEDIC TREATMENT IN ‘’SANTHIVANAM AYURVEDA’’ THE IN HOUSE AYURVEDIC CENTRE. The honeymoon is a customary occasion occupied by newlyweds at any culture to celebrate their marriage in intimacy and seclusion. It is to share their first love together enjoying each and every moment in absolute privacy. Today, honeymoons for Westerners are often venerated in specific destinations considered to be exotic or romantic. Munnar, the famed hill station of south India, is such a romantic location where natural beauty is everywhere to visit, explore and to enjoy during a lovely honeymoon tour. This is an ideal place where newlywed couples take a break to share some private and intimate moments that help establish their love in long-lasting relationship. This privacy in turn is believed to ease the comfort zone towards physical relationship, which is one of the primary means of bonding relationship during the early days of matrimony. A honeymoon can also be the first passionate moment that a newly-wed couple spend together, or the first holiday they spend together to commemorate their wedlock. Now, Woodpecker Resort at Munnar introduces a special Package worth Rs 17,776/- for you and your dear ones to rejoice such magnificent occasion. However, we are offering this package at a very attractive discount rate of 50%.Hence the actual cost for the package comes Rs 8,888/- only. You can avail this package from the nearest outlets for Rs 888/- only, which will be considered Advance Payment for your booking. What you have to do is, as you open this package, you will find a code Number and SMS this number to the customer service Executive. Subsequently, our customer executive will call you for activation process. At this point, you may provide details like your Name and address, check-In date, and mode of payment. Once such details are collected, he will check and ensure the availability of rooms. After making balance payment, i.e., Rs 8000, the entire procedure is completed and it gets confirmed in your name. Please note that after confirmation you are not allowed to transfer or reassign your package. There will be a hike of 20% during the month of Dec, 2015 in the honeymoon package. 2 Nights and 3 Days Stay. 2 Days Sightseeing at Munnar. Secret code to confirm your Check In Date. SMS your secret code from your personal number to the number provided in the activation card. Our Customer support staff will contact you directly to your number. Please provide them your convenient Date for check in. Confirmation will be done only if the rooms are available on the dates requested. Accommodation for a couple in Specified Resort with break fast. Toll, parking and driver batha. Service tax @ 2.58% included on Total Amount. Arrival assistance & transfer from Cochin Airport/Railway station to Munnar, On the way visiting. Check in to Woodpecker Holidays Rest and relax! Overnight stay at hotel. Barbecue camp fire, mountain climbing facility available in WOODPECKER HOLIDAYS MUNNAR. Mattupetty direction, Photo point, Mattupetty Dam – (Optional on Payment) [15 Minutes Boat Drive in this Dam. Tea Museum (A tea factory where you can see how they are processing tea-). Back to WOODPECKER HOLIDAYS and overnight stay. After Breakfast, Munnar Sightseeing which covers. Elephant ride (Optional on Payment). Back to WOODPECKER HOLIDAYS. Overnight stay at hotel. After Breakfast drive to Kumarakom .Check In to Hotel . Cruise through the backwaters and inland waterways of Kumarakom/Alleppey (Optional Have to Pay Extra). Overnight at Hotel. Drop at Kochi Airport or Railway Station. Please contact in our e-mail address or telephone , we will provide the details in 24 hrs.